As the leading specialists in high-quality servicing and maintenance of all major brands of gas and electricity hot water systems, Superior Plumbing offer a 100% money back guarantee on all our work. 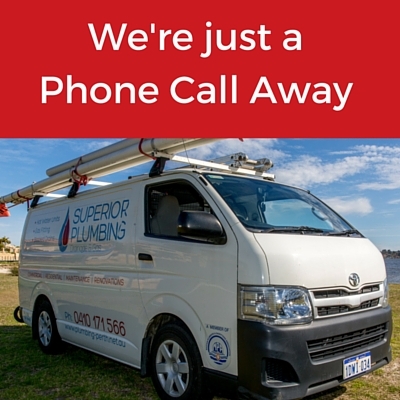 Our dedication to excellence, impeccable customer care and 24/7 emergency call-out service has made us the number one choice for thousands of business and home owners throughout Perth over the past 10 years. If your hot water system is due or overdue a service, don’t wait until there’s problem – call Superior Plumbing today to book an appointment with one of our licensed hot water plumbers. It doesn’t matter what kind of hot water system you have installed at your home or commercial property, the team at Superior Plumbing can help. 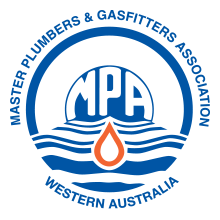 Whether you have electric or gas, storage or immediate/continuous flow, our experienced and fully licensed plumbers and gas fitters are equipped to service your system. 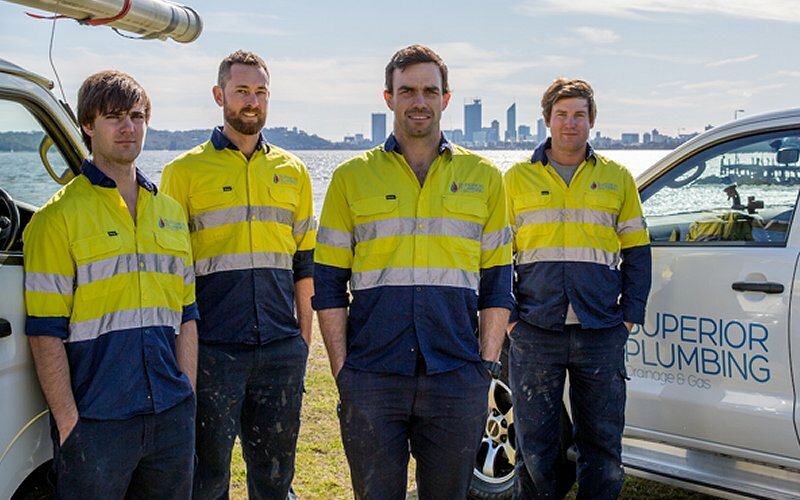 Once we arrive at your property, one of our fully qualified and licensed hot water plumbers we will determine the age and condition of your hot water system and give you a maintenance plan that best suits your current needs and budget. We take extreme pride in our professional and prompt service by ensuring our trucks are fully stocked so we can usually service most hot water systems on the spot. This saves everyone a lot of time and inconvenience having to go off-site to suppliers for extra equipment or replacement parts. It’s our aim to make the process as simple as possible for you, so we don’t begin any work until you’ve received a no obligation quote for the estimated cost. For your added convenience we always carry cash, credit card and EFTPOS payment facilities with us, for easy on-the-spot payment. WHY GET A REGULAR HOT WATER SYSTEM SERVICE? Your hot water system is no different than other conveniences you rely on everyday such as your car. To get the maximum performance and to avoid unnecessary problems arising, you take your car to your mechanic for regular services, right? Your hot water system is no different. One of the biggest causes of systems failing to provide hot water is a blocked pilot tube. This occurs when such things as spider webs get in the way of the gas flow. Thermocouples, which is the sensor used to measure temperature as well as keeping the gas valved closed while the hot water system while you’re not using it, has a short service life and needs replacing periodically. Due to these factors we highly recommend having your hot water system serviced at least once every two years by one of our trained hot water technicians – regardless of the type or age of your installed system. 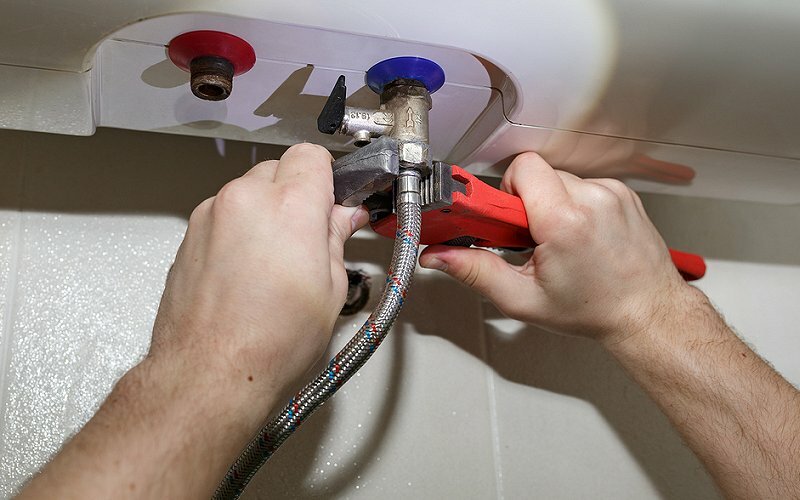 Having a regular service by one of our authorised hot water repair technicians, ensures you’ll enjoy trouble-free hot water for many years to come. A regular hot water service keeps your system working safely while increasing the cylinders longevity, therefore saving you both money and inconvenience of future breakdown. Most manufacturers won’t cover the terms of your hot water system warranty if it isn’t installed or serviced by a licensed hot water technician or qualified hot water plumber. Hot water tanks are expensive so don’t risk your warranty by installing it yourself or employing the services of someone who isn’t licensed. Superior Plumbing are the licensed and preferred service technicians for all the leading hot water manufacturers including Dux, Everhot, Rheem, Bosch, Vulcan and many more brands. The current manufacturers’ recommendation is to ensure your electric and gas appliances are serviced regularly. This recommendation includes you a major service of your hot water system on a regular basis. Electric instantaneous: Carry out tests on the electrical connection (3 phase power); test thermostat, line strainer and flow switch; and test relief valves. Gas storage: We’ll clean the burner and pilot tube; check/replace thermocouple; test gas valve & thermostat; check inlet and burner pressure; inspect the condition of anodes; then test the hot and cold relief valves. Gas instantaneous: Clean burner and pilot tube; test/replace thermocouple; replace diaphragm and O-rings; check inlet and burner pressure as well as test solenoids. At each service we will always evaluate your hot water unit for its condition and age. When scheduling your day, allow for our team to be on-site for approximately 30 – 60 minutes. Due to our many years of industry experience, we understand our customer’s needs as well as their expectations. It’s our goal to exceed those expectations every time – from the first time you contact us – right through to completion of the job. Our high standards of professionalism can be seen in our branded trucks and uniforms, our friendly and polite attitude, and our exceptional on-site work. Because of this, we are able to offer customers a 100% money back guarantee on our work. If you’re not completely happy with anything we’ve done for you, we’ll return your money in full. Whether at home or running your business, having reliable hot water is crucial to the daily running of your life. Don’t run out of hot water – call Superior Plumbing today for an excellent and reliable service.